For better or for worse, the days when each new Eels album represented a candid document of emotional tragedy appear all but gone. This will of course come as a relief to E, the man whose seemingly endless pit of misfortune helped fuel those life-affirming voyages into the depths of human despair, but whilst not producing records of the same calibre as Beautiful Freak or Electro-Shock Blues, this new-found contentment has done little to quell the creative instinct which continues to drive him forward. That much was apparent during the flurry of activity which culminated in the Hombre Lobo/End Times/Tomorrow Morning trilogy of 09/10; arguably his least great records to date, but ones which still proved thoroughly worthwhile, gem-packed ventures - a notion which, predictably enough, can also be applied to this 10th outing. 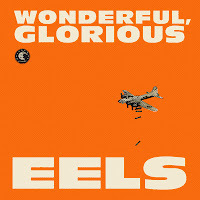 Although a continuation in that sense, it'd be wholly incorrect to dismiss Wonderful, Glorious as just another Eels album. Indeed some may be surprised to learn it is in fact their first record in almost a decade which hasn't conformed to an elaborate structure or concept, a fresh creative platform which right from its opening bars seems to find E newly invigorated. Perhaps as a reaction to such exuberance, the songwriter seems to have ushered in this latest chapter with a back to basics aesthetic, revisiting the affinity for fuzz previously exercised on 2001's Souljacker, as well as fleetingly during the aforementioned trilogy. It's hardly a radical reinvention, but it is nevertheless infused with the mild experimental streak which runs through most of his music, ensuring that whilst instantly familiar this garage stomp never feels like a complete regression. Of course, it helps when you're blessed with gifts that'd reward even the most catastrophic sonic misstep, and given this record isn't one there's a certain inevitability in it being crammed with the usual alt-pop goodies. Most immediately striking is "Peach Blossom," an obvious and correct choice of lead single whose brash shell conceals a delightfully melodic heart, which reveals itself more and more the further the song progresses. A similar trick is used with "Kinda Fuzzy" and "New Alphabet," both of which find E in particularly buoyant mood, a notion extended even further by "Open My Present," whose weighty blues may be as close as he'll ever get to achieving a level of swagger. It's a positive exterior Eels fans have become surprisingly acquainted with in recent years, though given E's notoriously brittle mental state it's difficult not to look upon without a degree of doubt. "True Original" for instance does nothing but feed such scepticism; its jaded bittersweet desperation not dissimilar from that which was so commonplace during the mid-'90s. Elsewhere meanwhile, lines such as "you know what? I'm in a good mood today" ("New Alphabet") and even the album's title can't help but feel as though they're tinged with sarcasm, while the refrain "a wretch like me can make it through" from the otherwise fiercely upbeat title track proves a dose of self-deprecation is never too far away. He might just be playing with us - this after all is a man whose wry sense of humour has long enlightened his group's records - but even so it's an issue which introduces a dilemma for fans, especially those who feel for Eels during decidedly less rosy times. It's the classic creativity vs well being conundrum; although if Wonderful, Glorious proves anything, it's that happiness, however temporary, can also serve E well. 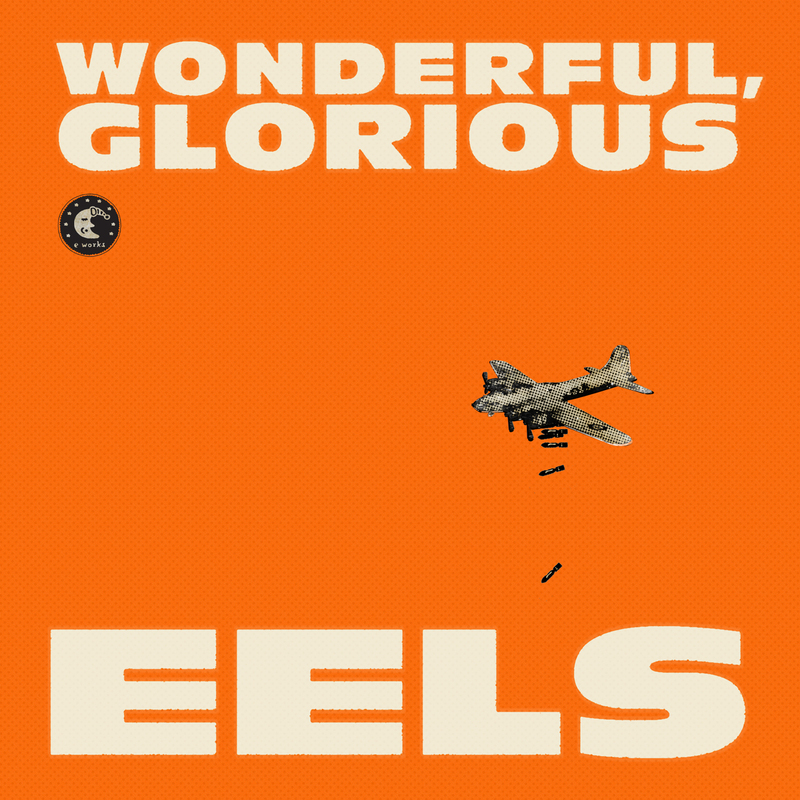 Wonderful, Glorious is out now. You can stream the record in its entirety here.